Carnival Corporation is the world’s largest leisure travel company. They continually strive to improve and personalize the customer experience. 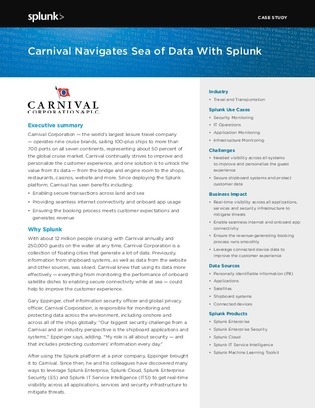 Carnival knew that using its data more effectively — everything from monitoring the performance of onboard satellite dishes to enabling secure connectivity while at sea — could help to improve the customer experience.